Lorraine is a recognized visual artist and has exhibited extensively since 1970 on a local, regional, national and international level. Adept in a range of visual arts medium, Lorraine is noted for her large-scale works in drawing and painting. She is also recognized for her command of mixed media, printmaking, installation work, ceramics, and sculpture. Since 1973, Lorraine has been a primary member of the world-renowned artist collective, the Royal Chicano Air Force (RCAF). Lorraine states, "Decades ago, I learned to not over-think anything creative or the need to take action during pivotal moments in time." As an arts and cultural specialist, Lorraine was appointed as Commissioner, in 2009 to the San Francisco Arts Commission by former Mayor Newsome. In this capacity she served as Chair to the Art in Public Places Committee, the largest program of the SF Arts Commission. In 2010, she was appointed by the U.S. Congress as a Commissioner to the National Museum of the American Latino. In 2003, Lorraine was recognized for artistic achievement and awarded a California State Arts Council Visual Arts Fellowship in printmaking. 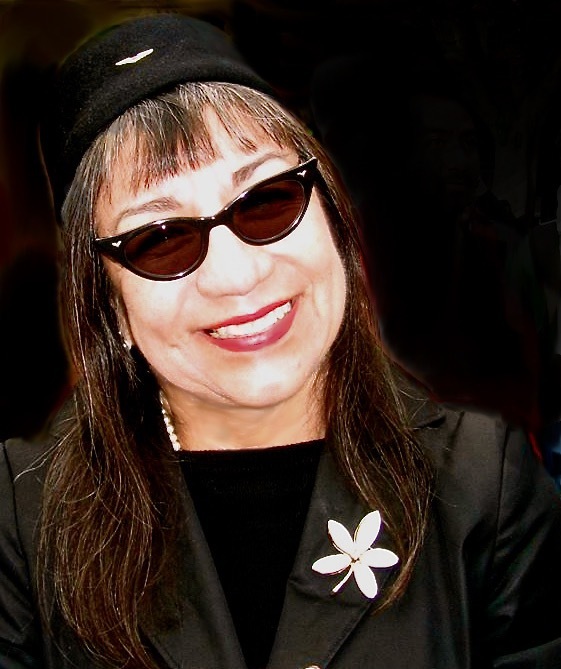 She is currently a founding Member of the San Francisco Latino Historical Society and continues active involvement in areas of social justice, community stabilization, and the need for communities of color to self-represent and speak for themselves, "first voice." Lorraine is currently authoring two books: selected writings and another regarding her experiences as a third generation descendant whose grandparents came to the United States in 1914 during The Mexican Revolution. In 2015, Copilot Press published Chola Enterprises, a biting prose and playful take on corporate culture, ignorance and gentrification. In this same year, "The Lorraine García-Nakata Papers" were acquired by Stanford University Library, Special Collections (an archive spanning 47 years as an artist, activist, writer, policy maker). I do my work because I have to and it has never been a question but rather a question of how my next work will take form; whether sculpture, painting, drawing, writing, or music. As an artist, cultural worker and resident of San Francisco, I am grateful for my Central Valley experience. As a result, much of my work is linked to time, memory, ordinary moments in life and subtle humor. I have and continue to explore a range of media and disciplines; I change, it changes. Remaining on course is an unwavering commitment to creating and continuing work in search of some small truths. I find them in ordinary moments illuminated by history, family, the often-unseen spiritual world permeating our existence as well as the ongoing challenges bigotry and ignorance continue to impose.